Educationalcentre-ks.com grants you a limited license to access and make personal use of this site and not to download (other than page caching) or modify it, or any portion of it, except with express written consent of Educationalcentre-ks.com. This license does not include any resale or commercial use of this site or its contents; any collection and use of any product listings, descriptions, or prices; any derivative use of this site or its contents; any downloading or copying of account information for the benefit of another merchant; or any use of data mining, robots, or similar data gathering and extraction tools. This site or any portion of this site may not be reproduced, duplicated, copied, sold, resold, visited, or otherwise exploited for any commercial purpose without express written consent of Educationalcentre-ks.com. You may not frame or utilize framing techniques to enclose any trademark, logo, or other proprietary information (including images, text, page layout, or form) of Educationalcentre-ks.com without express written consent. You may not use any meta tags or any other "hidden text" utilizing Educationalcentre-ks.com's name or trademarks without the express written consent of Educationalcentre-ks.com. Any unauthorized use terminates the permission or license granted by Educationalcentre-ks.com. You are granted a limited, revocable, and nonexclusive right to create a hyperlink to the home page of Educationalcentre-ks.com.com so long as the link does not portray Educationalcentre-ks.com, or its products or services in a false, misleading, derogatory, or otherwise offensive matter. 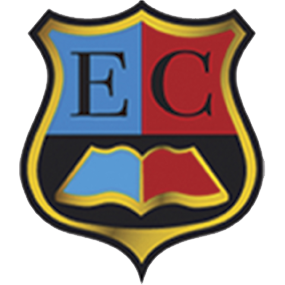 You may not use any Educationalcentre-ks.com logo or other proprietary graphic or trademark as part of the link without express written permission. If you use this site, you are responsible for maintaining the confidentiality of your account and password and for restricting access to your computer, and you agree to accept responsibility for all activities that occur under your account or password. Educationalcentre-ks.com does sell books for children, but it sells them to adults, who can purchase with a credit card or other permitted payment method. If you are under 18, you may use Educationalcentre-ks.com.com only with involvement of a parent or guardian. Educationalcentre-ks.com reserves the right to refuse service, terminate accounts, remove or edit content, or cancel orders in their sole discretion.